Quickform is an interactive design and development firm. We work as a full service interactive design studio mainly selling high end web design to international and national customers alike. Our specialties are fun and easy to use websites as well as smart online software solutions. We help our clients with the branding and development of quality sites and management systems and we also produce online advertising campaigns and promotional mini-sites. 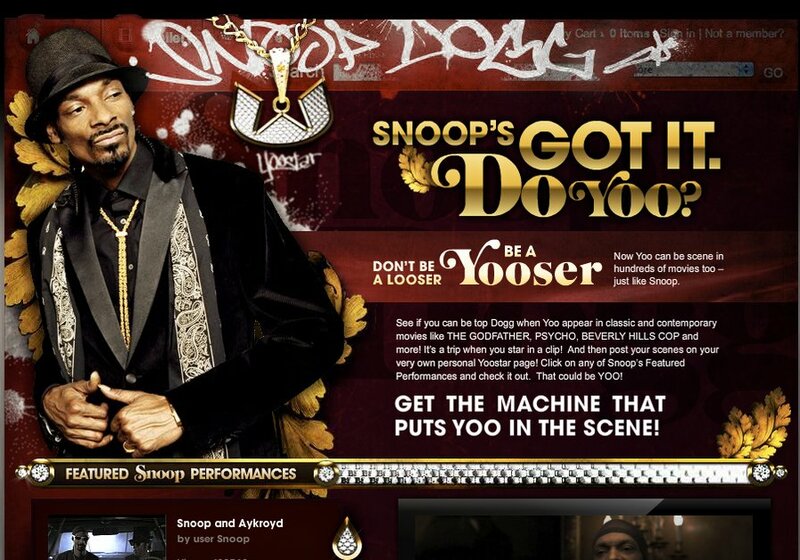 We were hired by yoostar to animate this very bling snoop themed landing page. We also coded the streaming video and a video-clip carousel in AS3 and integrated it all with their backend API.